The summer of Messerschmitt rolls on. 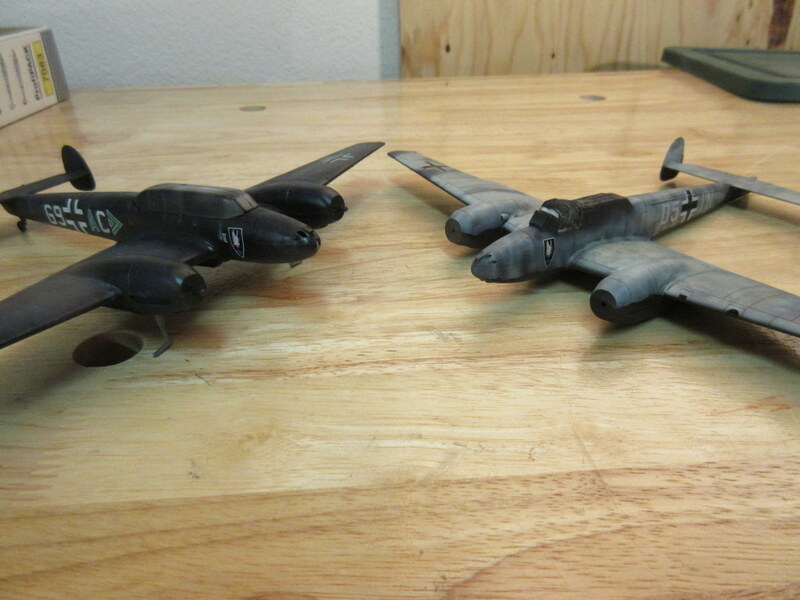 Got the nightfighter twins done. Both kits were inspired by an Owl Decal sheet; one all black and one apparently an all black oversprayed randomly by RLM76. The oversprayed model took a bit of thought on how to execute the overspray but turned out great and looks a lot like the decal diagram. 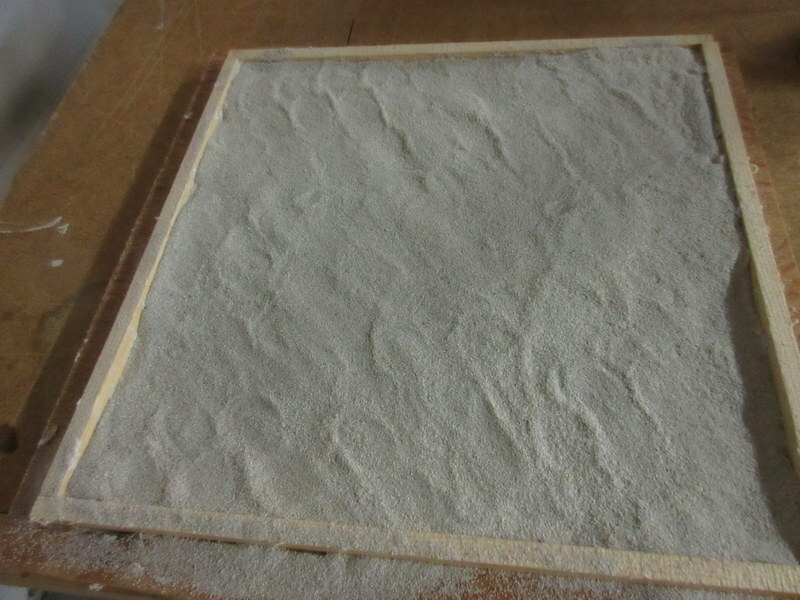 It looks like many different colors but the subtle thickness of the RLM 76 makes it look multi-color. 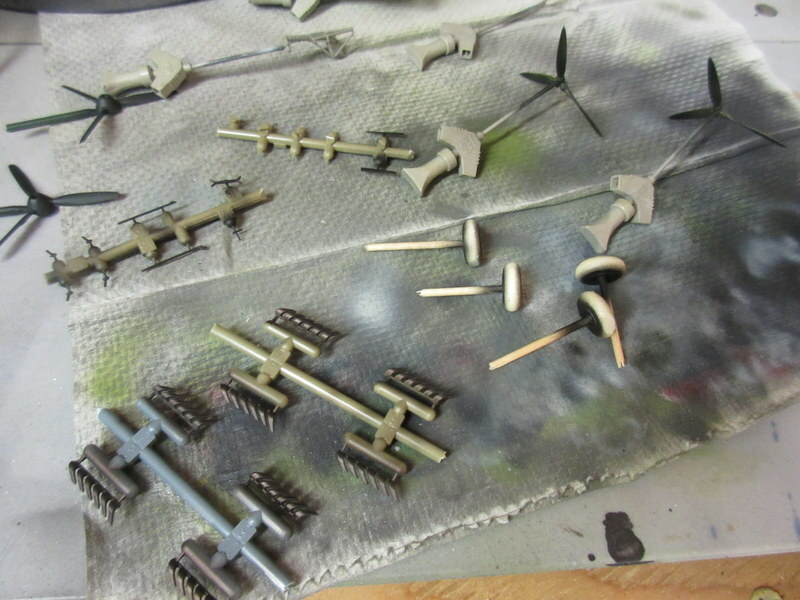 Th RLM 76 overspray was an Eduard Profipack and it has a lot of nice detail. 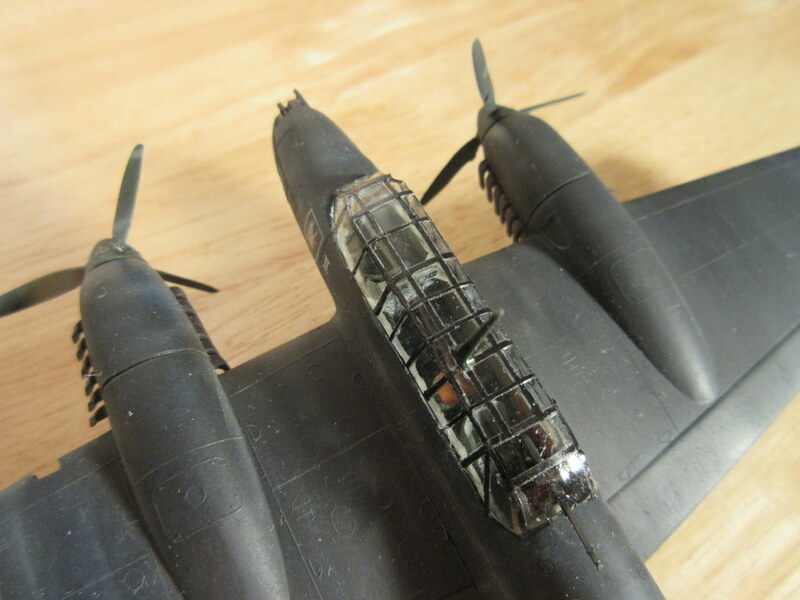 Other than the fit of the wings to fuselage, which took a bit of fitting, the kit went together flawlessly. The other kit was a monogram kit I have kept for near as I can figure 48 years. Back when I was a middle schooler earning kit money mowing lawns I’m sure I picked this up on one of our summer excursions to Chicago from Rockford. Not sure if it was Al’s Hobbies or one closer to Des Plaines but it was carried by my folks for many years until they gave me all of my unbuilt kits one year in a box. 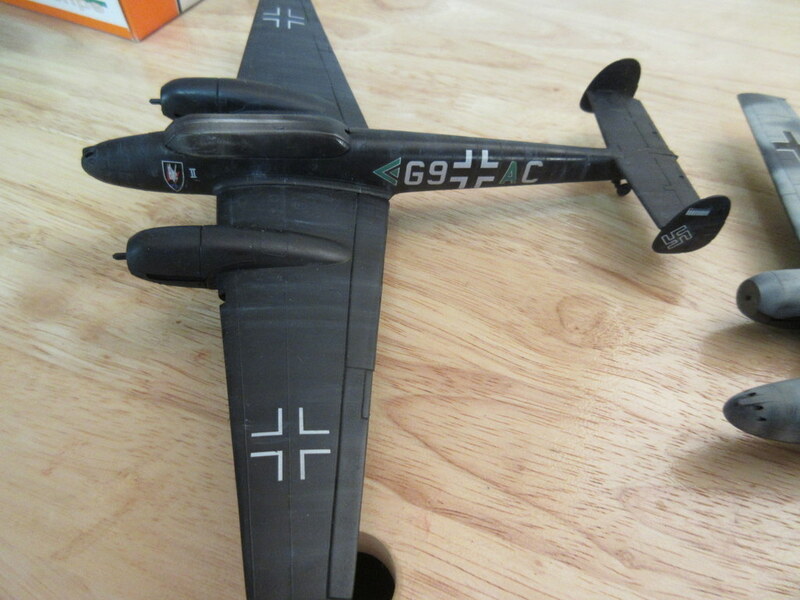 I had wanted back then to build it into a night fighter and here you go. 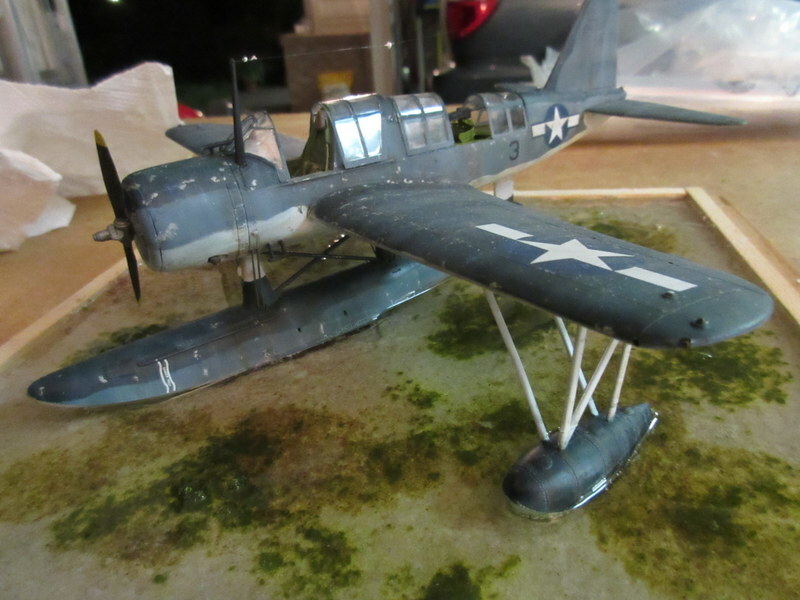 Sometimes those hobby plans take a bit longer to materialize! The kit was added to extensively. 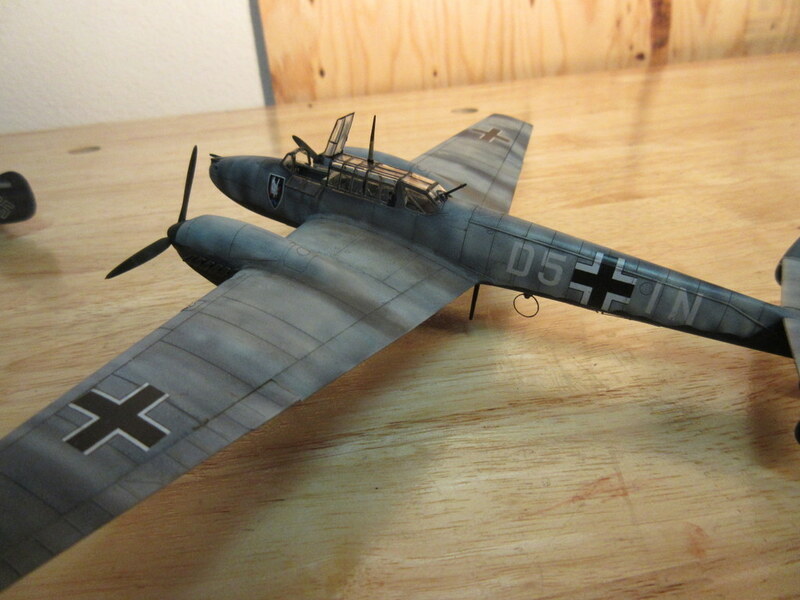 I am building a third Bf-110 right now with an Eduard Big Sin sets, which includes a resin cockpit, so that kit donated the cockpit to this kit. 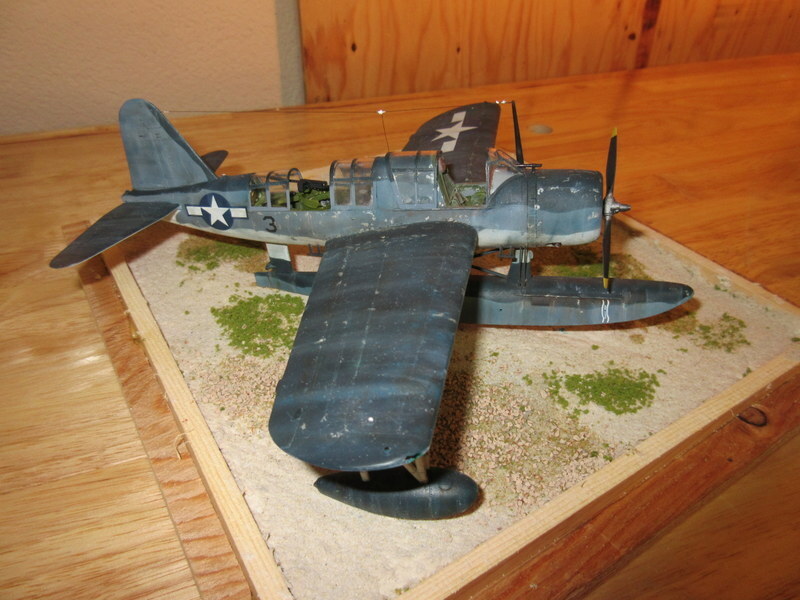 It also has resin wheels that I molded and copied off the Eduard kit, and a vacu formed canopy. With all the modern stuff I haven’t had to do a vacu form technique for a while. 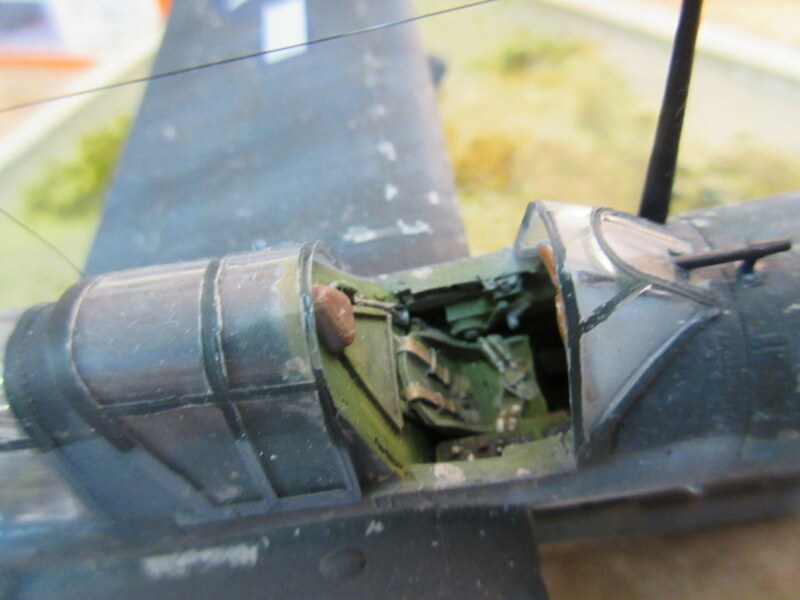 The canopy from the kit was too narrow and too thick. 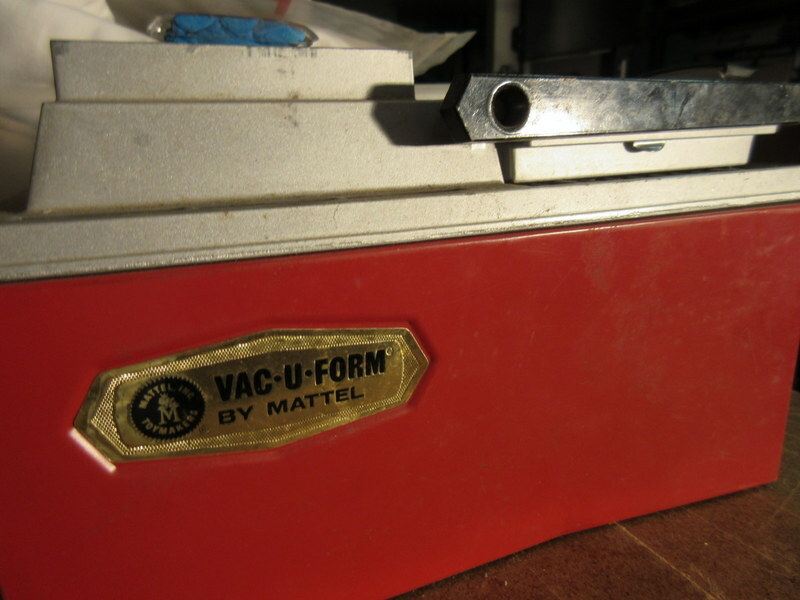 So I cut it in two, added a middle spacer to spread the canopy out a bit, sanded the whole thing smooth, vacuformed it on the trustly Mattel vacu-form machine, then added frames using thin cut scotch tape and then carefully painted by hand. I think it looks pretty good and you can see the inside of the cockpit without me opening it up. It may not be entirely accurate but it looks pretty good after a dip in Future. 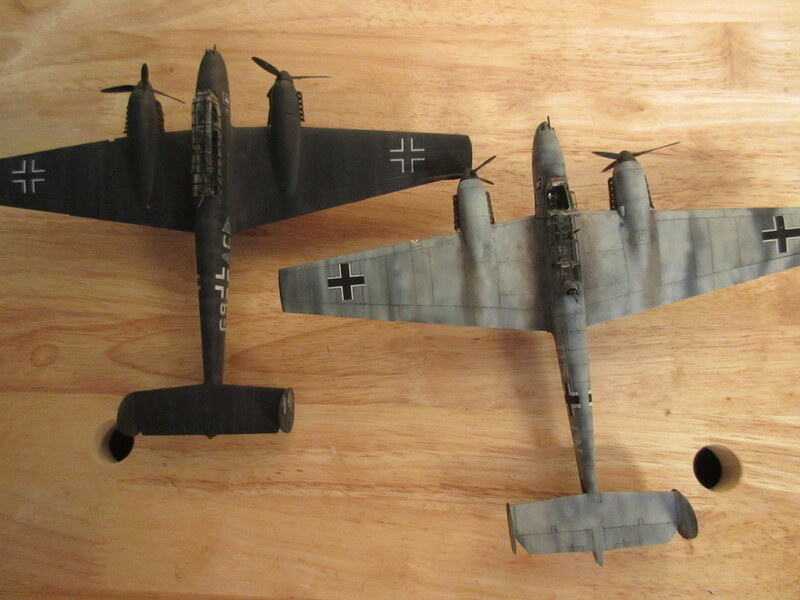 I have to go finish the Bf-110 stepchild -going to make it to be a western desert aircraft, a long ways away from it’s nightfighter brothers! 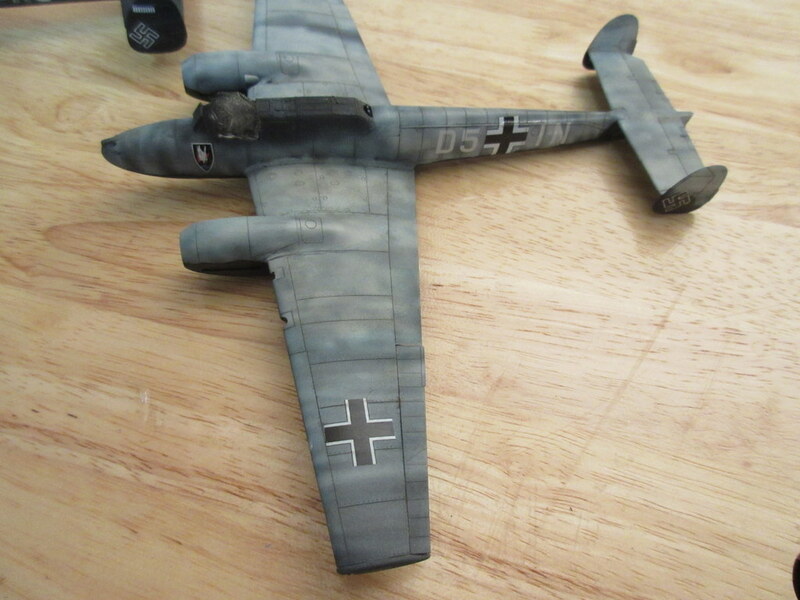 Now that the Bf-110s are in a stable form it’s time for that part of modelling that to me takes the longest; the parts. Parts that need to be found, cleaned up, put together, sanded, organized by color, and painted. And what a mass of parts these builds have. 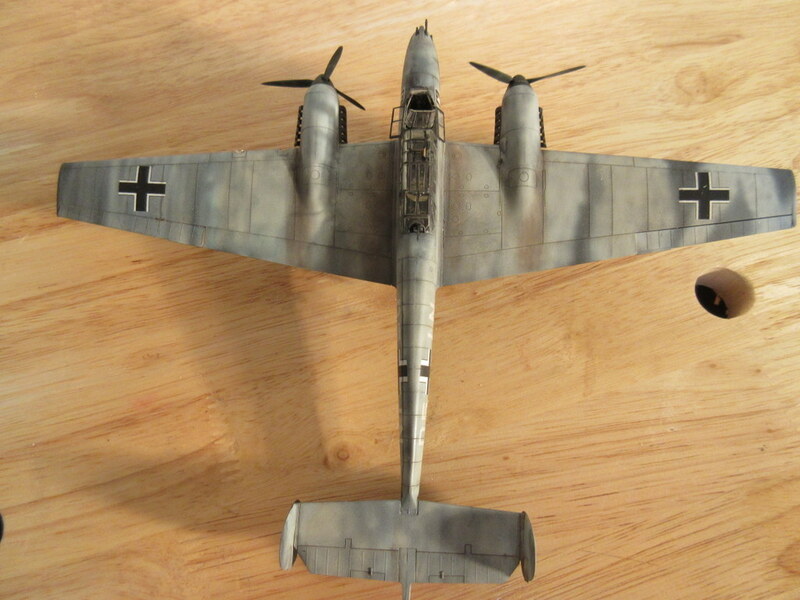 The Monogram Bf-110 parts are pretty simple but the Eduard kit has quite a set of very delicate and numerous detail. 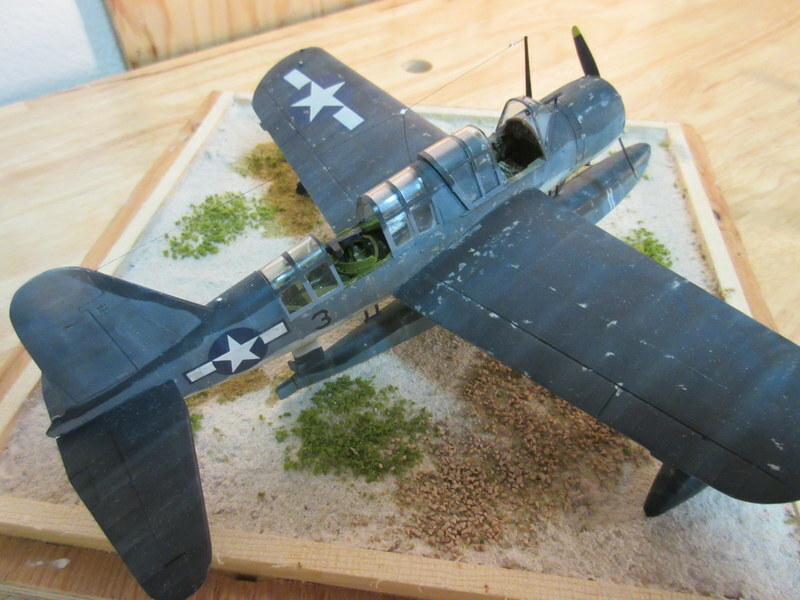 The state of 1/72 kits has changed a lot in 45 years. I should be ready to put some of it together tomorrow with one last shot of weathering. We’ve had another heat wave and it’s been pretty hot in the garage. 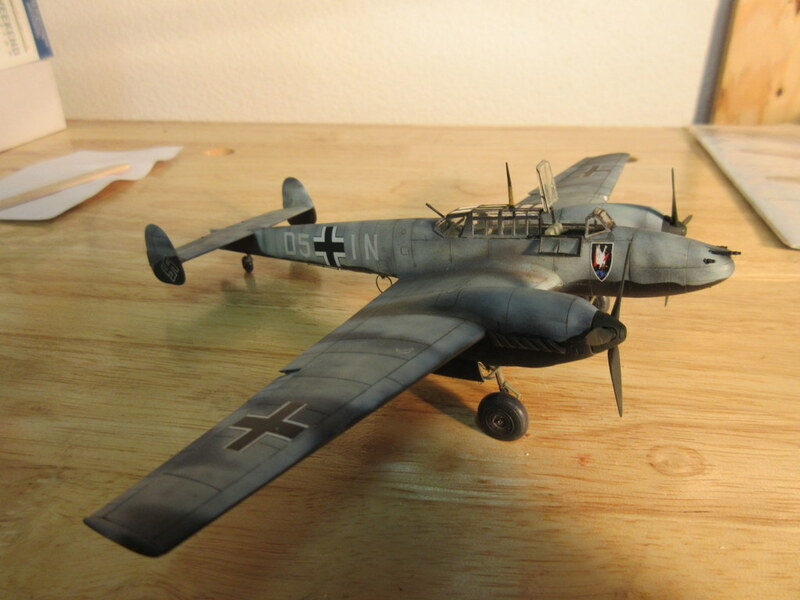 I also have the cockpit ready underway for the next Eduard 1/72 Bf-110. 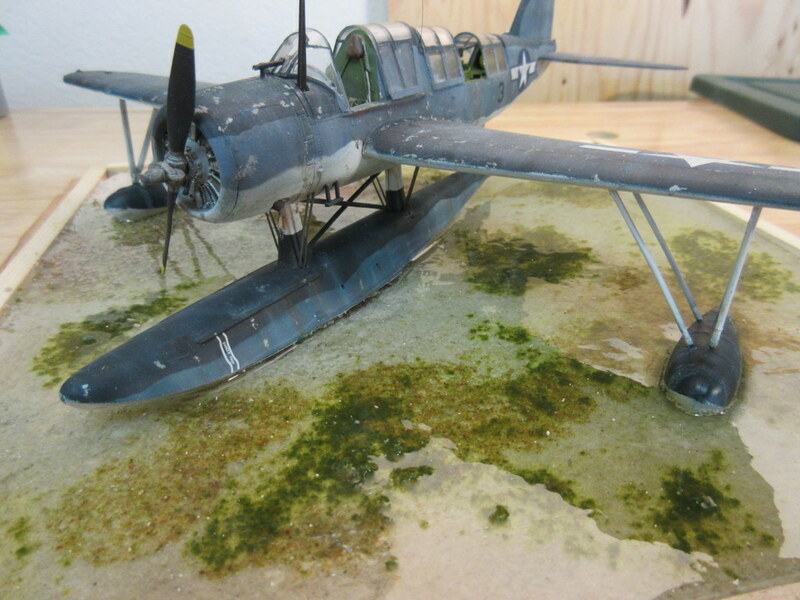 I’m using the resin from the Eduard Big Sin set for this kit which will include not only the cockpit but engine and armament. I’ll paint that one, again with Owl decals, in a desert scheme. 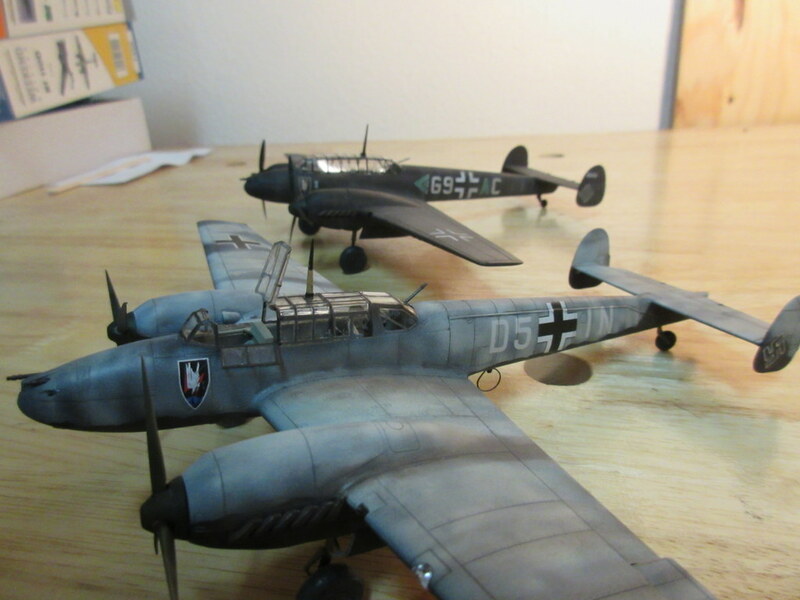 They have decals and I have started weathering. 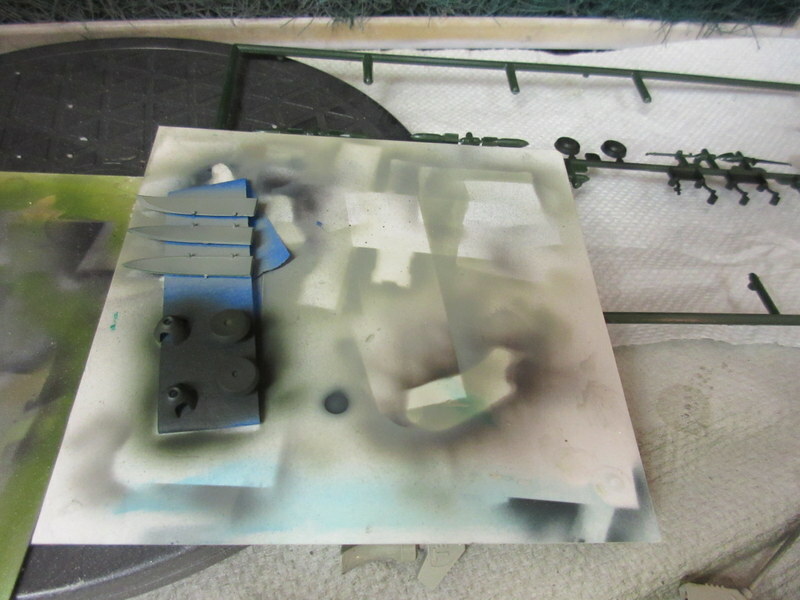 For weathering both have a blue and green oil dot filters applied. It didn’t look that well on the black but highlighted the RML76 on the gray 110 well. 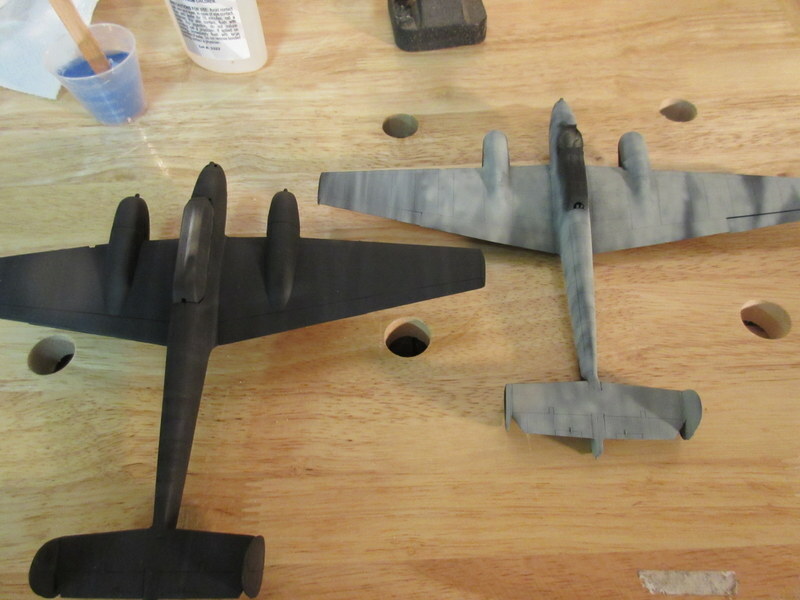 I tried a light gray wash on the Black one and then streaked it with white oil paint. 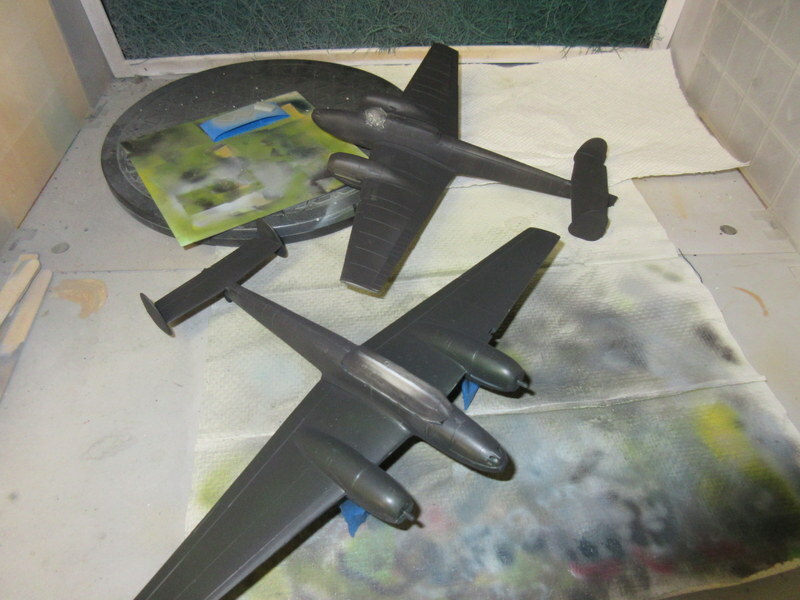 I still need to do a bit more airbrush streaking with various black/gray shades. On a side note, I counted my shades of gray and only have 19. I’m not sure what that guy with 50 shades is modeling. The RLM 76 oversprayed kit was given a pin wash of dark gray then subtly filter washed with burnt sienna to give it a slightly “dirty” shade. 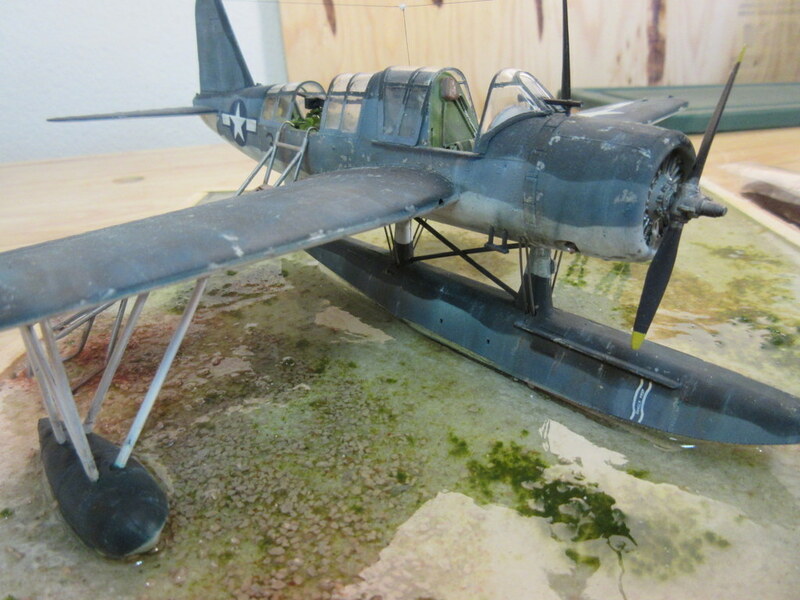 I will need to do more weathering in the next few days while I finish landing gear and other parts that need to be added. Decals are from OWL (72013); same sheet for both kits. 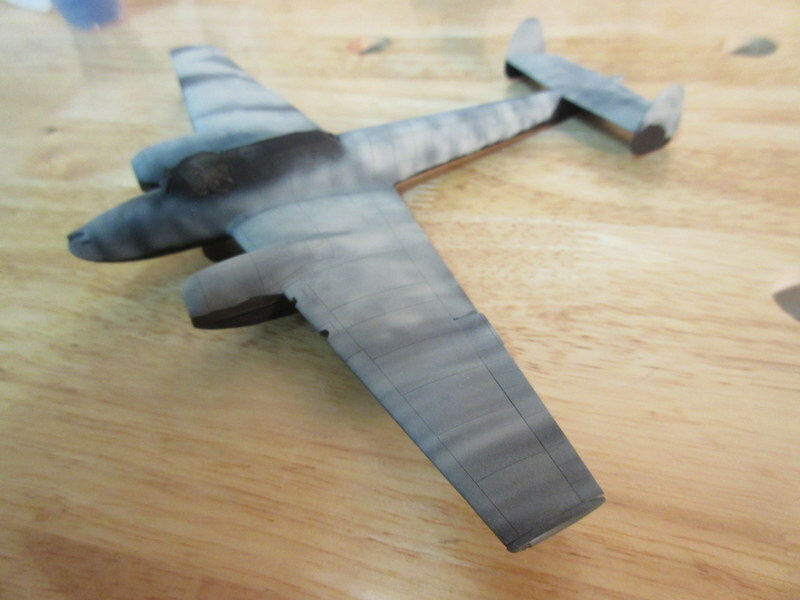 The sheet also contains complete markings for a Bf-110G4 and I’m tempted to get the Eduard overtree for that kit and build it with my Hasegawa Me-262B to finish off the summer of Messerschmitts. The Kingfisher is done! I’ve been working on this build since March 15th and it is nice to see how well it turned out. 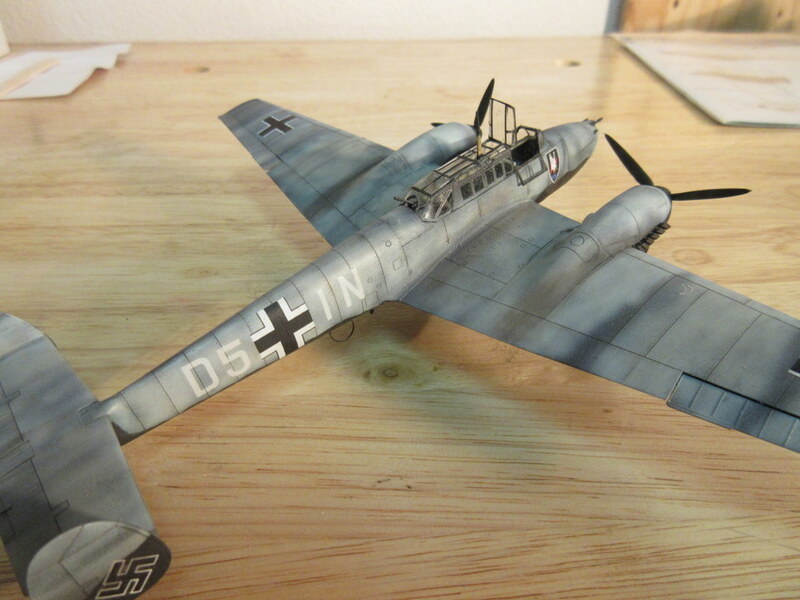 I built one of these as a kid (I built ALL of the Monogram 1/4″ kits in my youth) so this was fun. I actually still have another bagged one to donate to some kid in the future. I used the Lone Star Cockpit for this build and it was a pretty good fit. 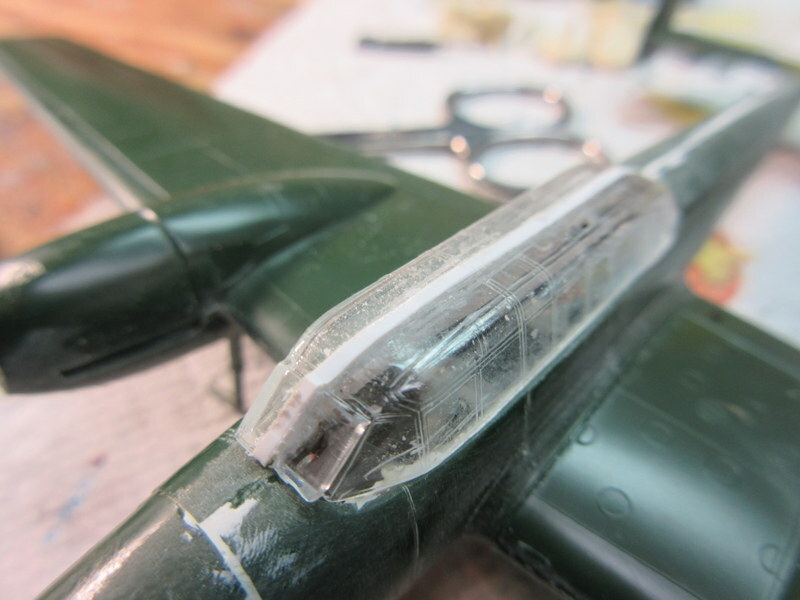 Lots of additional plastic butchering needed to be done to use it but the results were worthy. 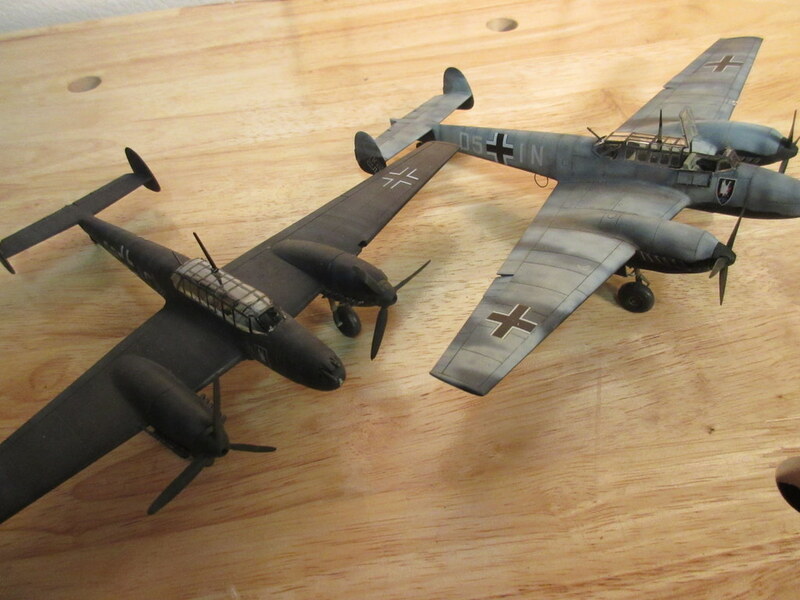 Now on to completing the Bf-110s. 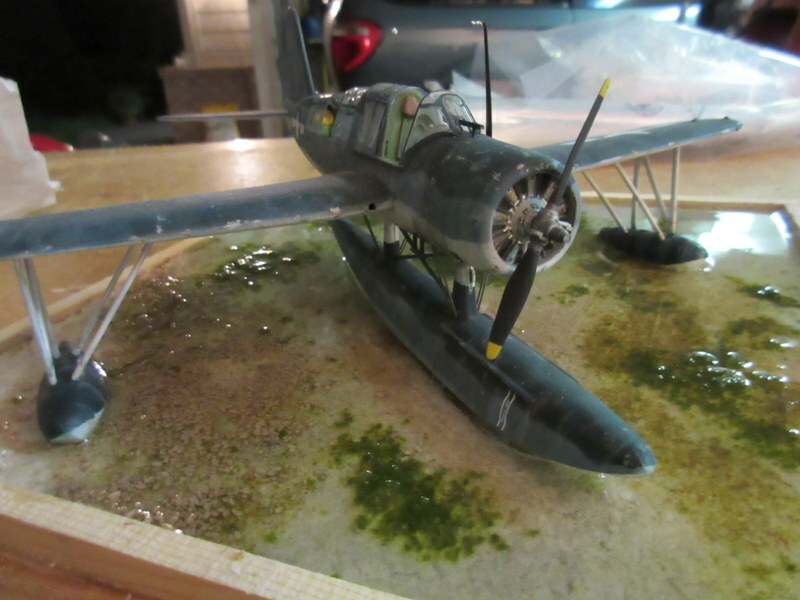 Managed to get the clear resin water into the Kingfisher diorama. 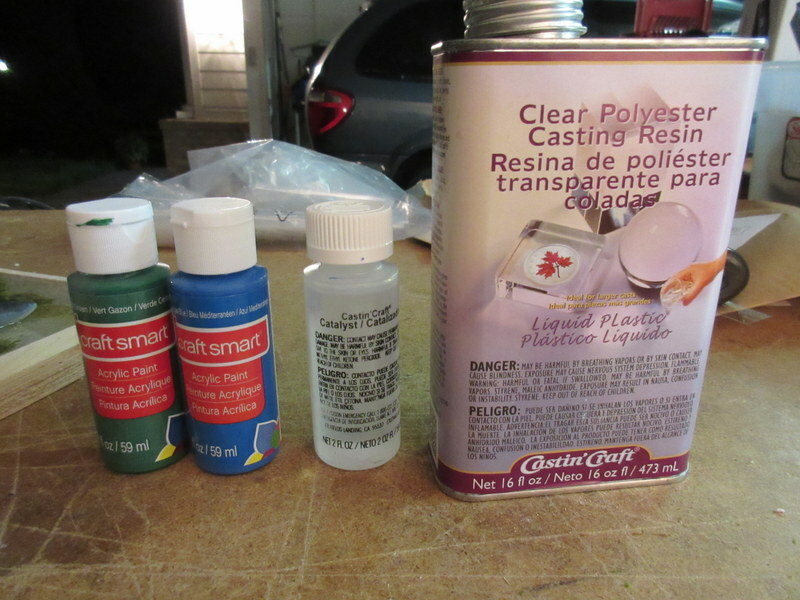 I decided to use the clear resin I bought at the craft store with a touch of acrylic paint to tint it. 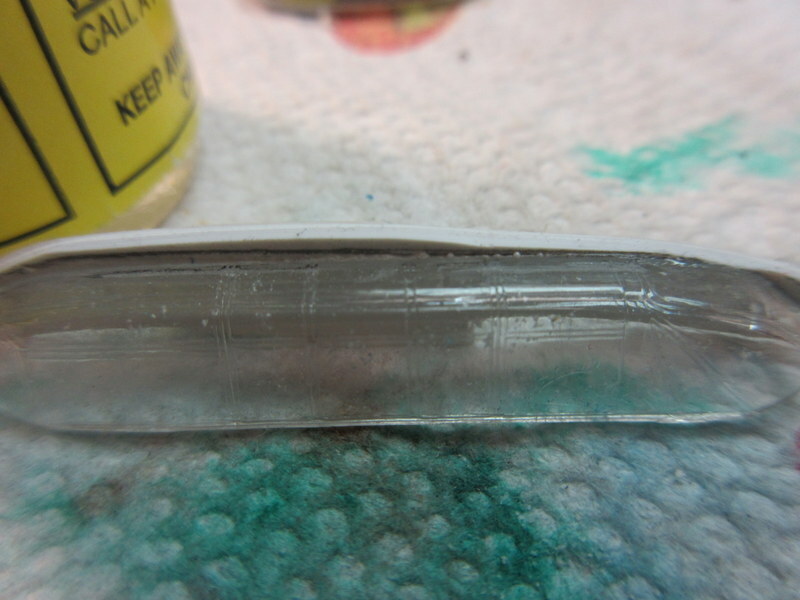 It doesn’t take much paint to tint the resin. I spent most of the day adding about 2 oz. 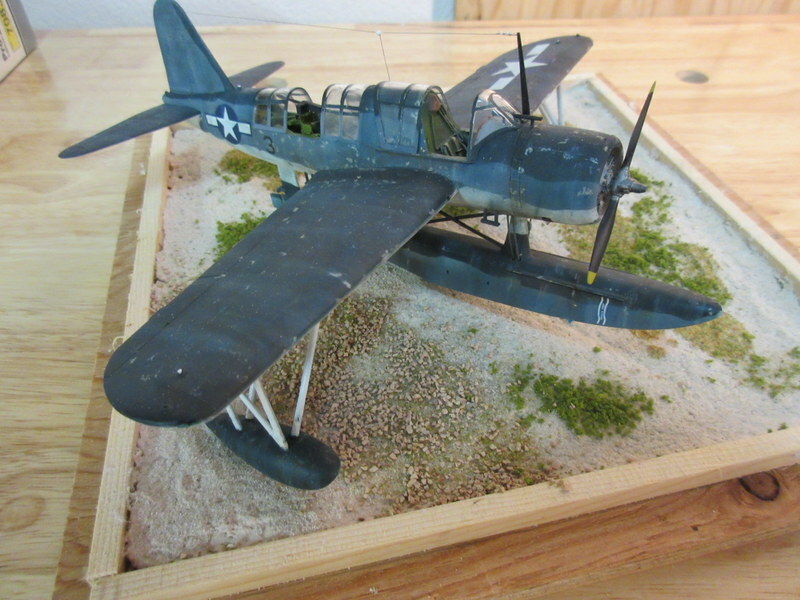 of resin at a shot to the diorama, letting it spread out on it’s own. It has about 8 oz. 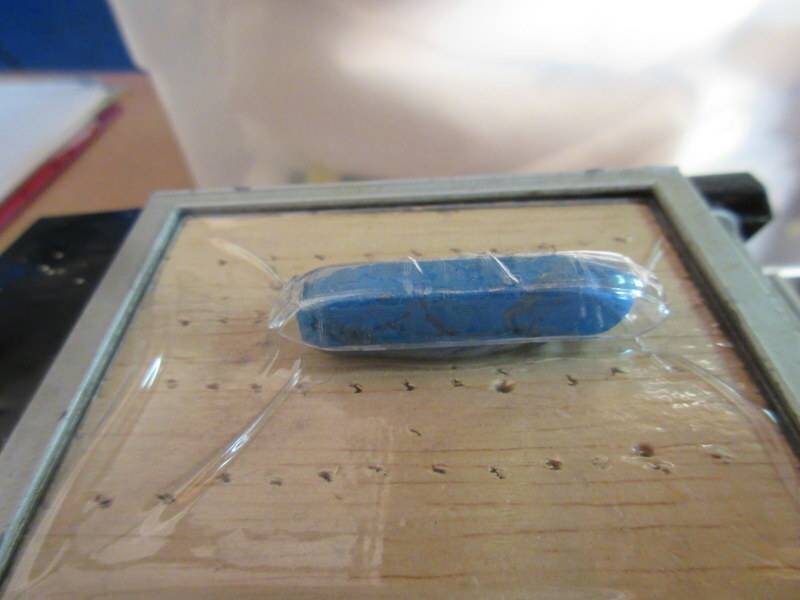 of resin added. 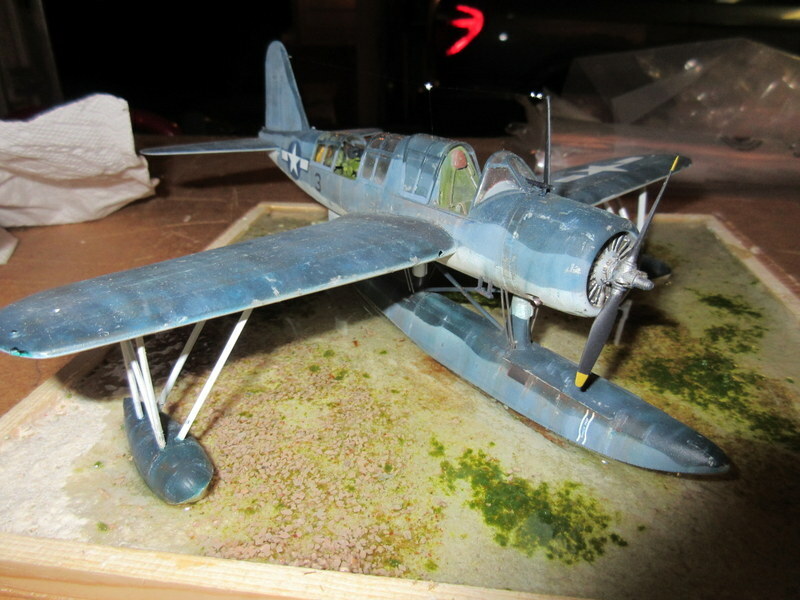 The model is being displayed of a Kingfisher on the beach at low tide. 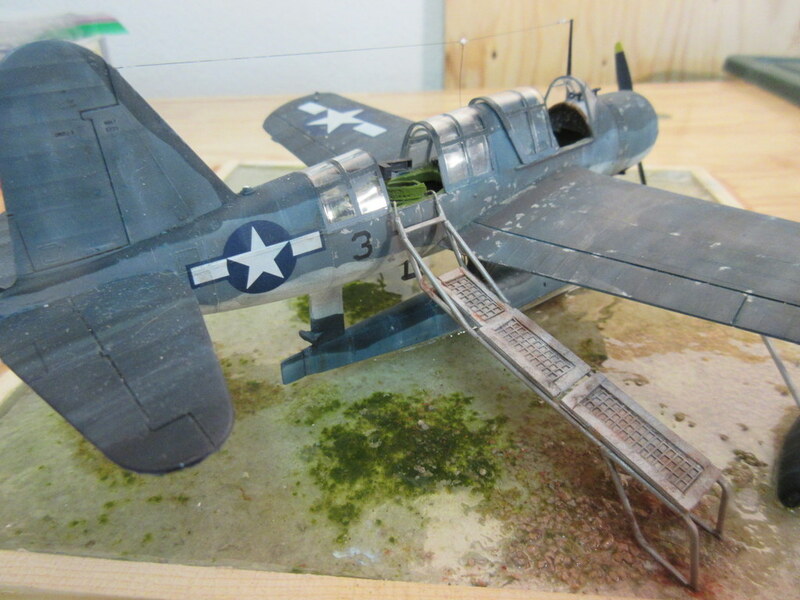 I still need to scratch build a boarding ramp. 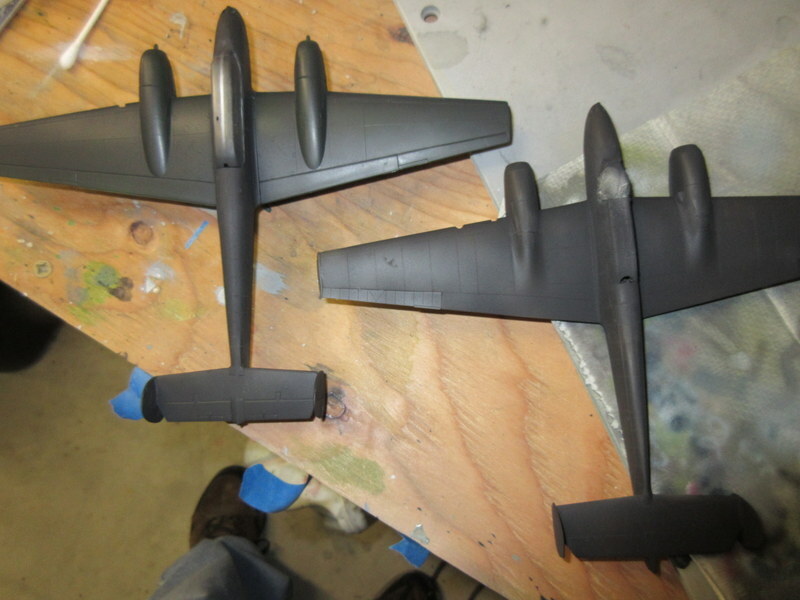 I also got the “second coats” of paint on the Bf-110s. Tomorrow I will give them some future so that I can decal them. 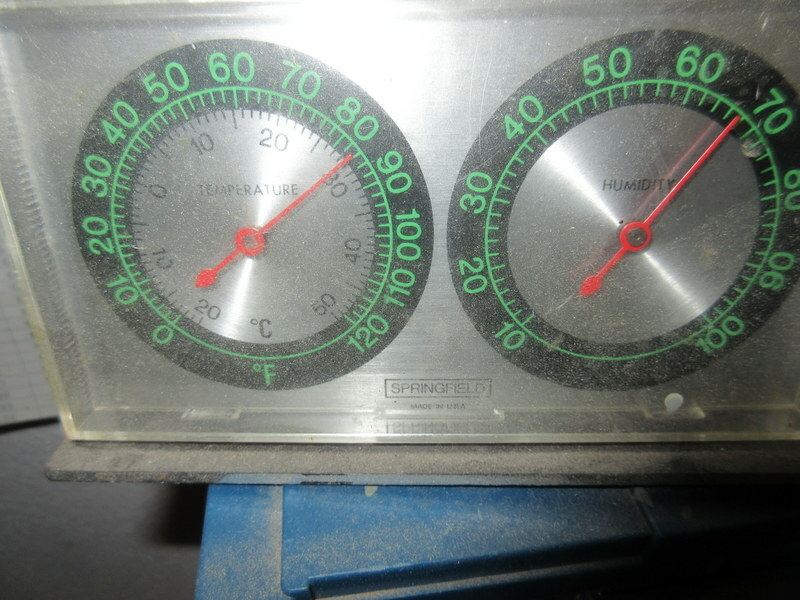 Working in my garage over the last couple of days has been toasty, even going out about 9:30. This shot was taken at 11:00pm in the garage; uncharacteristically warm in Oregon for this time of year. 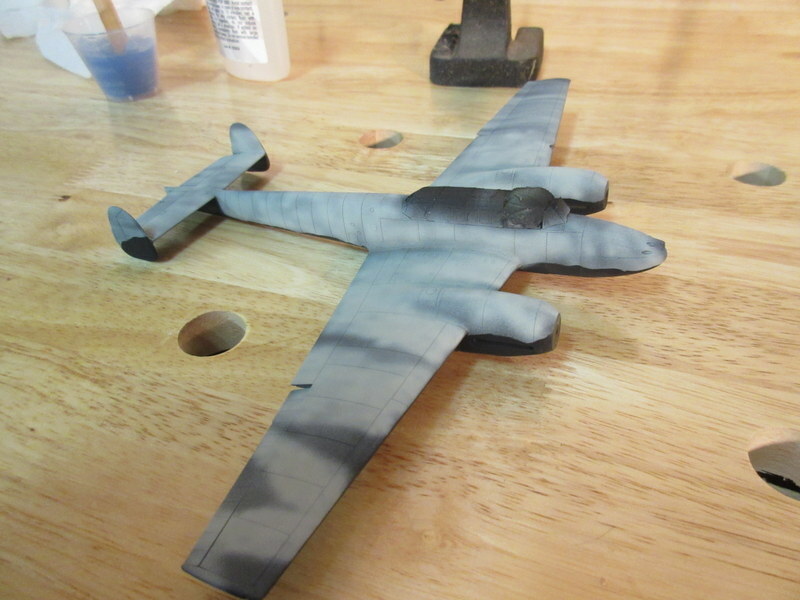 The Bf-110s have started down the painting process. 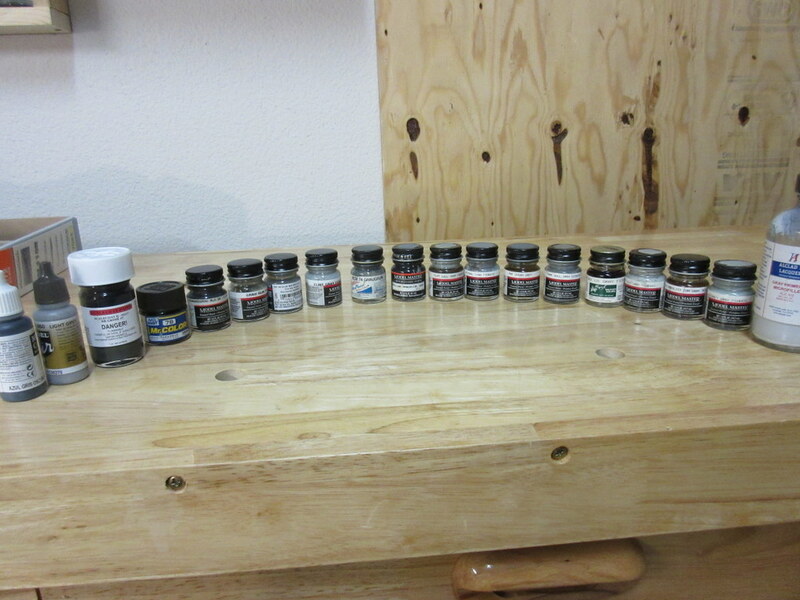 One will be all black and the other will have an overspray of what seems to be RLM 76 and RLM 75 over it’s black. 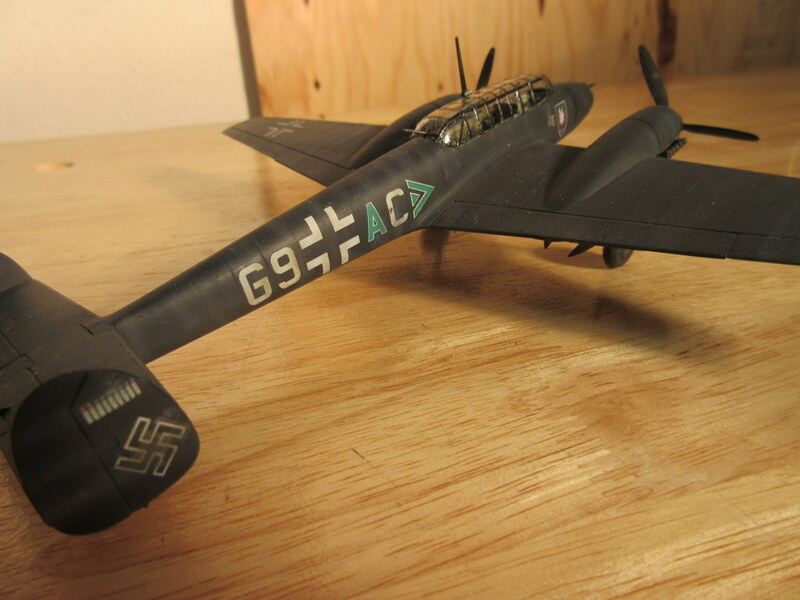 The decal sheet mentions that this aircraft had a field color application later in the war as the night fighter groups experimented with camouflage. Can you tell which one is the Eduard and which is the Monogram? 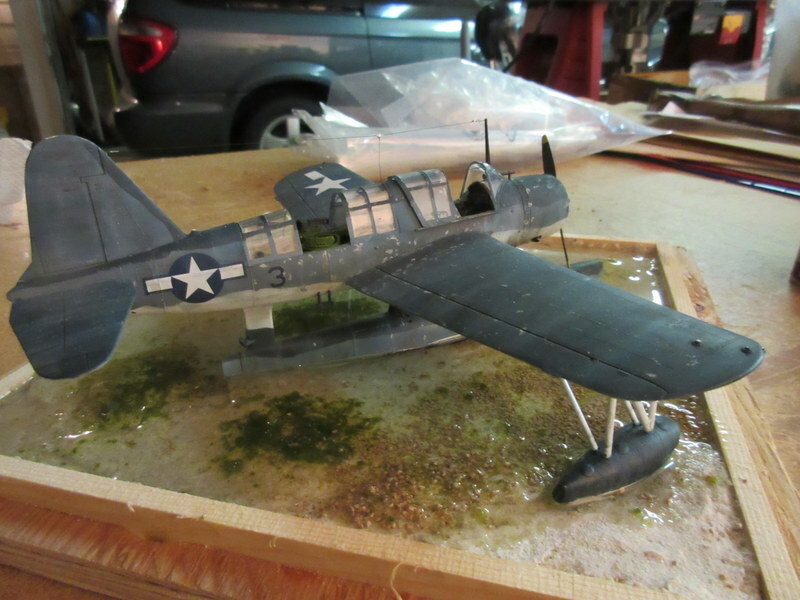 The Kingfisher diorama is also starting to take shape. I have the sand on and some random plant life and we are ready for water over the weekend. 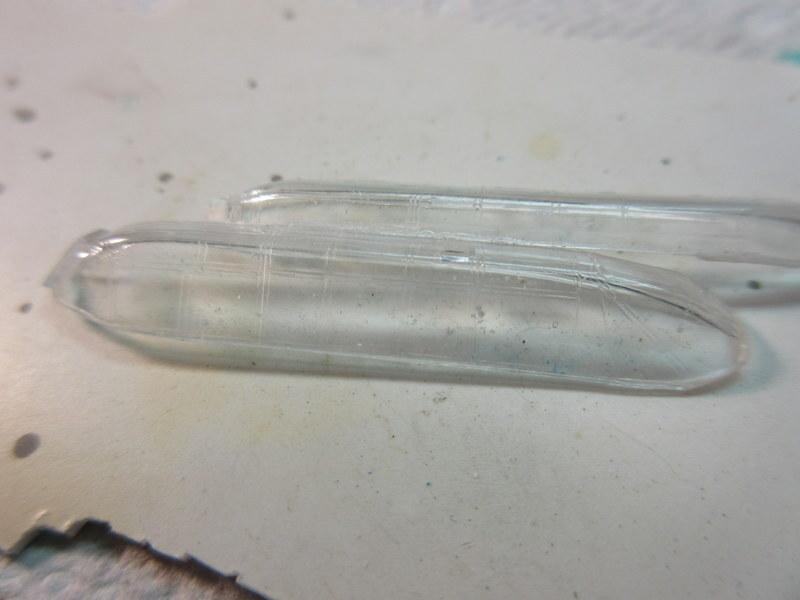 Not sure if I am going to use acrylic gel or clear casting resin. Will think about that tomorrow.